Trafsys will showcase its newly developed long-range road monitoring system, Trafsense, based on advanced distributed fiber optic sensing technology and signal analysis, at ITS World Congress 2018, held 17-21 September at the Bella Center in Copenhagen. By capturing the vibrations triggered by the rumble of wheels, Trafsense automatically tracks the speed and position of vehicles at any point along the road and sets off alarms when incidents occur. The sensor element is nothing but a standard single mode telecom fiber cable, into which laser pulses are fired at an extremely high repetition rate. Hence, several kilometers of roadway can be covered by a single sensor. Backscattered signals from the fiber is detected and analyzed by the Trafsense Interrogator Unit located in a technical building next to the road. 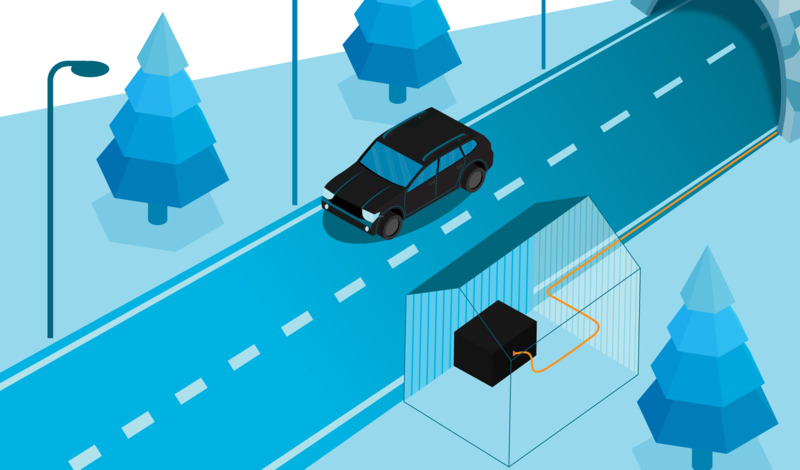 Trafsense can easily be integrated with industrial SCADA systems, including Trafvision, the Traffic Management system developed by Trafsys and used by the Norwegian Public Roads Administration to control and monitor more than 500 road tunnels and bridges. The high sensitivity and accuracy of the system means a wealth of future possibilities. Initially, Trafsense will be capable of detecting stopped vehicles, queue formation and vehicles driving in the wrong direction. “It’s our intention to further develop Trafsense and add more applications in the future in line with customers’ requirements while further exploiting the extensive capabilities of the vast amount of generated real-time data. ITS World Congress 2018 seems to be the perfect place to start a dialogue with potential pilot customers who want to test Trafsense in the field”, said Terje Floor Heggeland, CEO of Trafsys. Trafsense offers several distinct advantages compared with other technologies commonly used for road monitoring purposes, including its long-distance coverage, low sensitivity to external interference, eliminated need for roadwork as well as unmatched Economy of Scale and low Total Cost of Ownership. It is also the environmentally friendly alternative. Trafsense is the result of an R&D partnership between Trafsys AS and Christian Michelsen Research AS (CMR). Trafsys will showcase Trafsense along with its range of industry leading solutions in Traffic Management, Surveillance & Detection and Communications at stand C1-110.